There is something so comforting about having a traditional afternoon tea. I don’t do it often, which makes it feel special and luxurious, and I love the look of the tiered tray filled with goodies. Today was a perfect day for tea – a bit gray and rainy, the kind of day that reminds you that summer is fleeting and you’ll be getting the woolly sweaters out before you know it. Yes, I know there’s a whole month left of potential summer weather, but the rain really got to me over the last couple of days. I bundled the Baberoo into her carriage and set off for Café Loco (85-87 St Aldate’s, OX1 1RA), where I had been meaning to try the Mad Hatters Tea Party (£8.50) for a while. 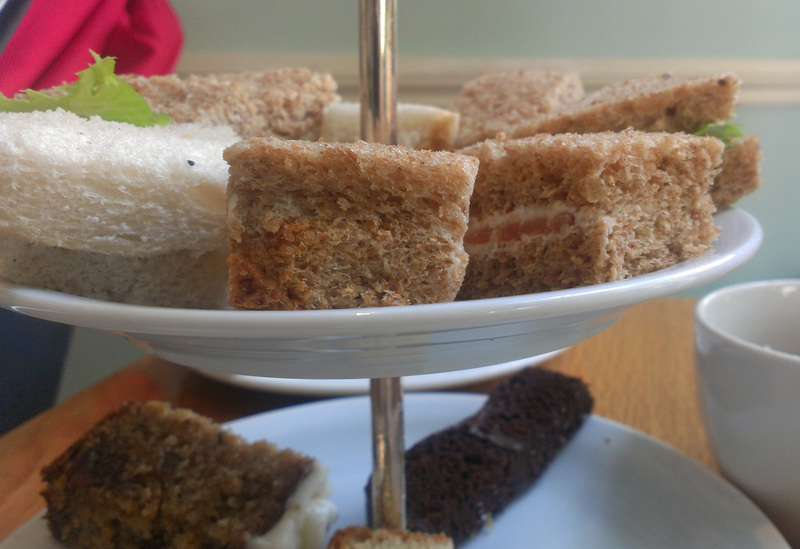 My teapot of Earl Grey arrived at my table only moments after I had ordered it, and was soon followed by the much-anticipated tiered tray, which included eight mini sandwiches and three kinds of cake. I was pleased to note that the sandwiches were made with very fresh, moist bread – nothing ruins a good tea faster than stale, dry sandwich bread. The best of the fillings was the smoked salmon, while the cucumber, chicken, and egg salad were just fine. The cakes were better; I got a selection of chocolate, carrot, and Victoria sponge, all of which were lovely. I wished that there had been a few more cakes or bigger pieces; they looked a bit sparse on the lower tier. All in all it was an enjoyable tea and I relaxed and took my time over my cuppa while the Baberoo played happily in her carriage. So, how did Café Loco rate against my five baby-friendly criteria of menu, space, ambiance, facilities, and feeding? You can find more details about my ratings system on my About page. Menu: If you need to hold a baby in one arm while you’re eating, there are several things on the Café Loco menu that you can eat with one hand. Most breakfast items, pastries, teas, and some mains will be easy to manage; if you’re fairly dextrous then you could also try one of the bagels or paninis. And of course, cakes are always manageable with one hand! My tea was easy to eat one-handed, although I didn’t have to hold the Baberoo today. Space: The tables are fairly close together in this café, which means it can be a bit of a squeeze (even without a baby carriage) to get through if the place is crowded, which it often is. I managed to snag a table in the corner where I could park the carriage without it being in anyone’s way, but another patron had to move their bag and a member of staff had to move a chair so that I could get through. It’s also difficult to get to the baby-changing/disabled bathroom; it’s in a corner where the high chairs are also stored and a staff member had to move two high chairs out of the way before I could get the carriage through. If my carriage didn’t fit I don’t think a wheelchair would either. Ambiance: The staff are friendly and our server interacted with the Baberoo several times during our visit; her perseverance paid off and she finally got a smile. The décor has an Alice in Wonderland theme and the place is light and airy with pretty windows and wooden ceiling beams. Because it gets so busy it can be loud, but not overly so, and there’s no distracting music. 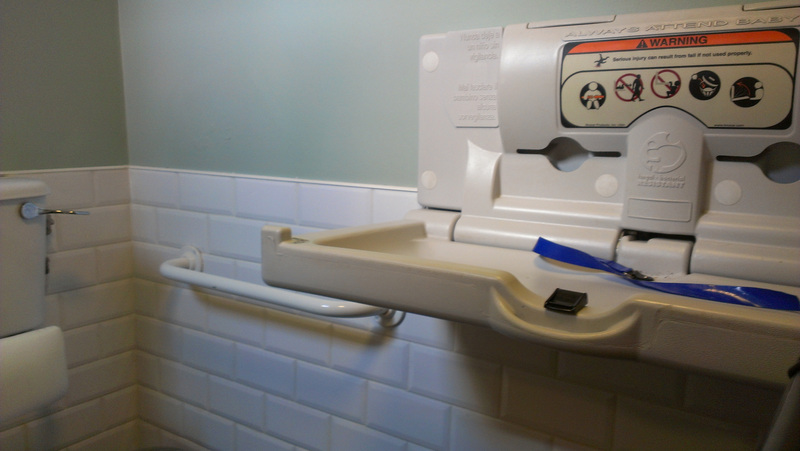 Facilities: The baby-changing/disabled bathroom was big enough to fit the carriage comfortably, but the pull-down baby-changing table itself was woefully small and narrow; I’m amazed that anyone would even manufacture a table so small. It would have been difficult to fit my seven-month-old on it, so it wouldn’t be suitable at all for any older babies or toddlers needing a diaper change. Luckily, I was the one who needed to use the facilities, so we didn’t need to struggle with the tiny table. Feeding: I didn’t feed the Baberoo this time but I have done so in the past and can say that the wooden chairs are comfortable for breastfeeding. 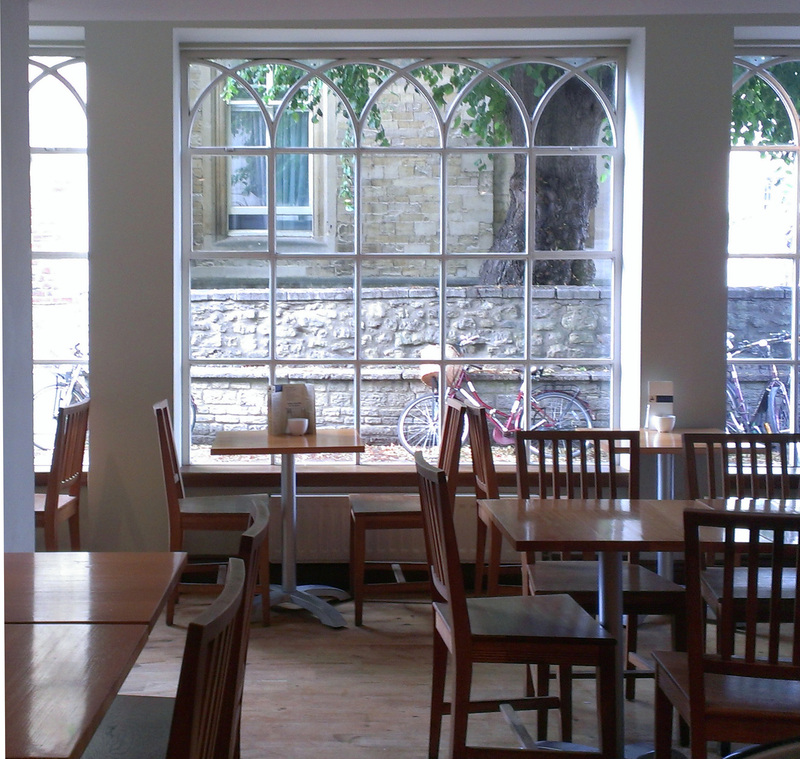 The café also has some tables with bench seating if you find that easier. When I have visited with friends who bottle-feed, staff brought them hot water to warm their bottles without any problems. My final rating for Café Loco is a 7.0 out of 10. It is quite busy most of the time but if you can get there during a non-peak time you will have an enjoyable tea.